My photos from the third and final (phew!) 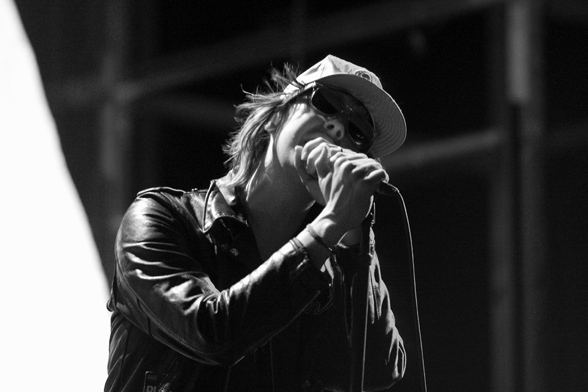 day of Coachella 2011, featuring Kanye West, the Strokes (pictured), the National, Duran Duran, Best Coast, CSS, HEALTH and MEN are on Brand X. As are my shots from Day 1 and Day 2. * Moving Units and Native American headdresses.